Every year Passaat honors her best client with the ‘best client of the year’ award. The conditions to comply with this choice are: inspirational relationship, trust in our company, a certain amount of orders & sales and openness for new ideas. Last year LABdeMED won this award. 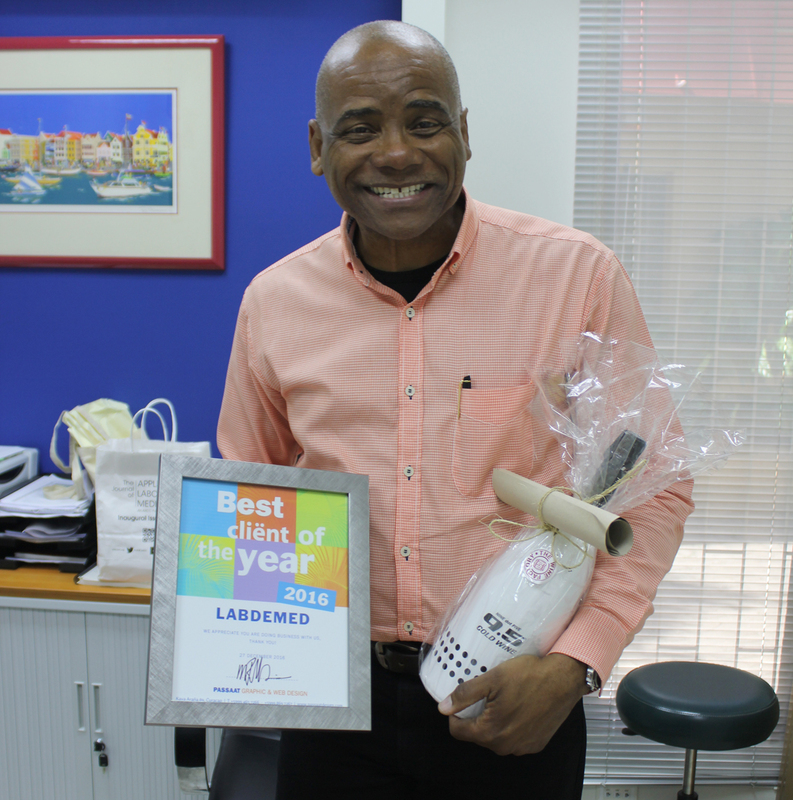 LABdeMed is one of the largest laboratories on the island and has 13 branches and offers over 500 specialized medical tests. We have been working with LABdeMEd for 4 years, and had the opportunity to create forms, an ad campaign and lettering on puncture sites and corporate headquarters. We also did a corporate identity scan and took care of their print work. Thanks Dixella, Solange, Nadia and Rudy Le Blanc for our collaboration!